We offer both the MRS Advanced Certificate and the MRS Diploma. We offer both The MRS Advanced Certificate and The MRS Diploma. Both courses are studied for on a part-time basis. All our teaching is done via e-tutoring – you will have regular one-to-one contact with your tutor via email (not applicable to Advanced Certificate Essentials students). Some people find that distance learning can feel a bit isolated. We can put you in touch with other students who are studying at the same time as you are, so that you can compare work and help to keep each other motivated. We offer all our students a completely bespoke training programme – you decide when you want to study. We know that working and home life can be unpredictable and that you might not be able to work on your qualification on a regular, week by week basis. We will just fit in with you! You can start your studies at any time – you are not limited to a certain start date. The MRS Advanced Certificate is for those with one or two years’ experience of working in research. The qualification generally takes six months to complete, but you can spend longer studying for it with us if you need to. Assessment of The MRS Advanced Certificate is by examination and a written assignment. The MRS Diploma is for those with over three years’ experience of working in research (unless you have already completed your MRS Advanced Certificate in which case you only need one year’s experience). The qualification takes at least two years to complete, but you can spend up to four years studying for it with us if you want to spread your studies out, or take a break from your studies. 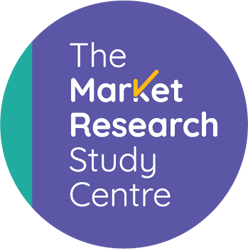 Once you have passed The MRS Diploma you can apply to be a ‘Certified’ member of The Market Research Society. The MRS Diploma consists of four separate units – two are assessed by examination, and two by written assignments.